ALWAYS UP TO NEW CHALLENGE WHILE KEEPING THE TRADITION! 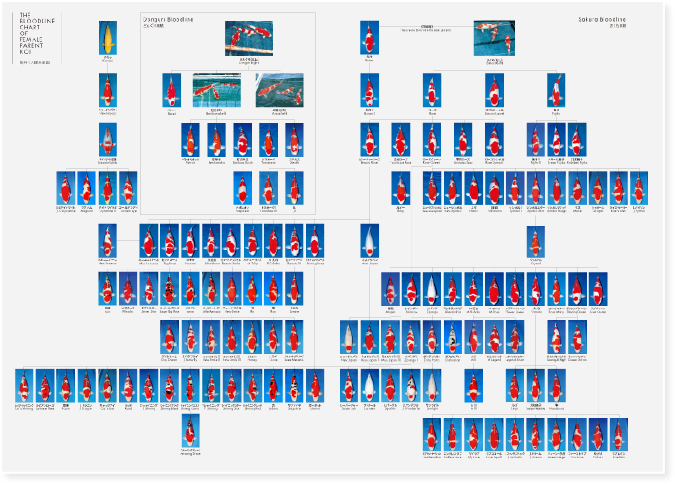 The history of our Nishikigoi breeding goes back to more than 120 years ago. Around 1890, Ichiroji Sakai, the founder of Sakai Fish Farm, had started breeding Magoi for needs of animal protein. Thereafter, my grandfather Tadamichi Sakai had taken breeding of Magoi, while starting to breed colored and patterned koi for entertainment. 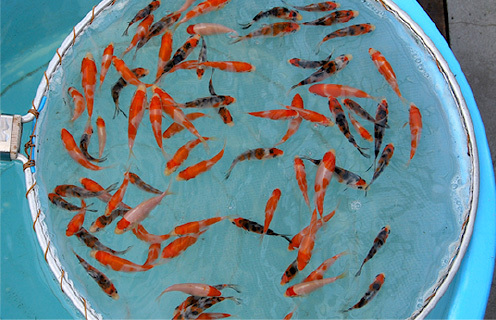 Those colored koi were born as a mutant in Yamakoshimura, Niigata. Then, my father Koji Sakai decided to focus exclusively on Nishikigoi breeding as a family business. After almost half a century, we have been making steady efforts everyday to breed high-grade Nishikigoi. Not only are we among the first to introduce the scientific breeding style at Nishikigoi industry, but also established a business style by analyzing market. 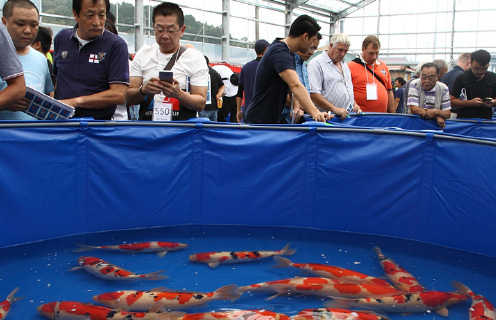 As a result, we are called top-class for blood of Kohaku and Sanke, breeding, finishing, and sales technique, and also marketing technique in Nishikigoi industry. 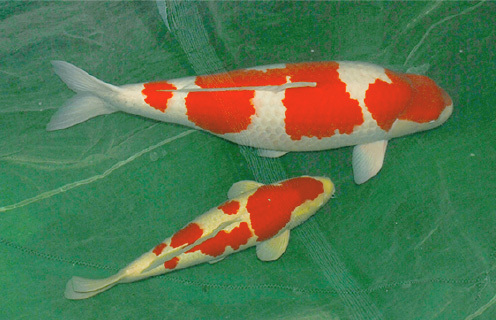 We first won the grand champion of worldly most prestigious koi show called “All Japan Koi Show” in 2000, then won grand champion for 8 times until 2015. We would like to thank for predecessor’s persistent effort and koi lovers’ warm hearted yet strict teachings. 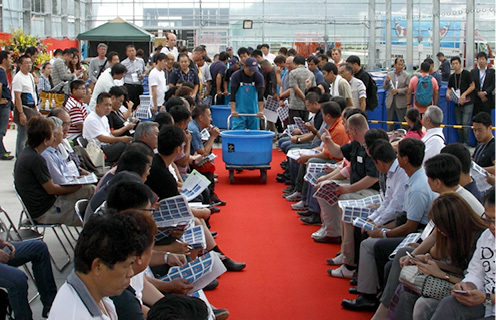 We believe that high probability of winning the great results in nationwide koi show are solely from their effort. We promise to keep the tradition that our predecessors made, and listen to koi lovers’ voice from now on. We also collaborate with people of business relationship, and always up to new challenge without fear of failure for the progress of Nishikigoi industry. To this end, we would like to ask all for the continued support and encouragement. Spawning start from end of April to August. Harvest mud pond in September. Auction held in March, October and Nobember. Many of the contractors come from in and outside the country. 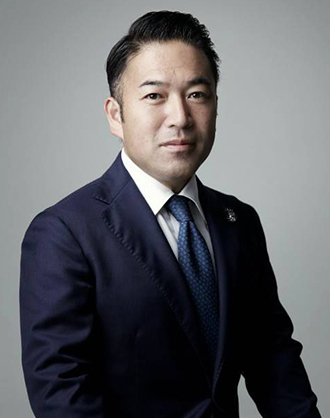 Copyright © 2019 Sakai Fish Farm Co., Ltd. All Rights Reserved.